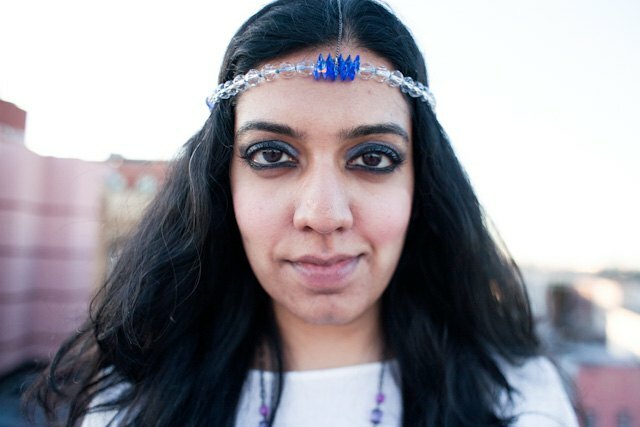 Surrounded by the necessary dose of mystery, drama, flashy accessories, colorful outfits, and naturally hundreds of tweets, Isha: A Tell-All Tale is probably the least likely art project in Bushwick these days. Meenakshi Thirukode teamed up with The Bogart Salon with the idea to film a true Bolllywood soap opera. Yes, right here in Bushwick. Isha: A Tell-All Tale will use all the components of a Bollywood soap opera to tell the story: songs, dancing, and meta narratives with characters stepping in and out of their roles. Audience will play a big role as it will often be a part of the filming. The film set and the simultaneous screening will be located in the gallery space of The Bogart Salon. For a glimpse of the Bollywood glamour, come to the Kickstarter party Meenakshi and the crew is organizing this Saturday at The Bogart Salon. Isha: A Tell-All Tale crew promises Hindu dancing and a lot of fun. Additionally, the audience gets to play a small part of the script for the camera, which will be used in the soap opera. They will have a bindi make up artists present and a lot of Indian jewelry and vintage clothing designed by Terese Bennette and Matthew. Simultaneosly, an art exhibition of art created for the film by Federico Massa and Stefano Ortega will open. Your background is in art theory, right? Yes, my background is more specifically in the history of the art market, connoisseurship and art criticism. I took up the Masters program at Christie’s auction house. I wanted to understand the nature of the beast, so to speak. At the time, India, along with China was considered the big emerging market. (You might notice how we are forever considered an emerging market.) It was all about the market. I’m glad that every single day during my masters program alongside theory, we were thrust into the “real” world too. And the real world not that pretty at all. 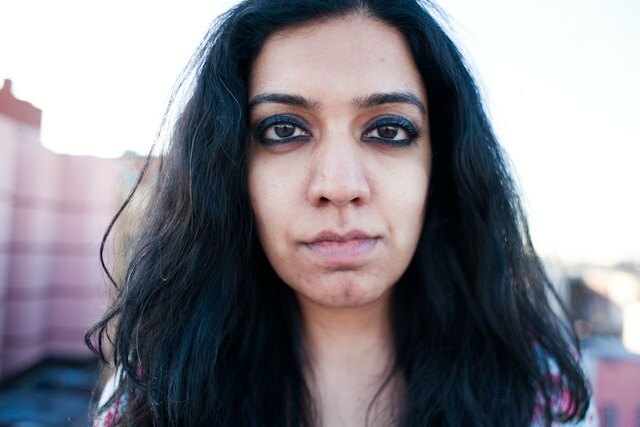 In my curatorial work, my articles and essays, I have tried to understand everything – all those contradictions, expectations, perceptions, including specifically the very narrow lens through which South Asian art and artists are being contextualized or seen. How did you come up with an idea to create a Bollywood soap opera where, in addition, you play the main role? The idea really stemmed from conversations with Peter Hopkins. I found a real connection with him! We felt that telling this art world story through the narrative style of soap operas was perfect because it touchs all the emotional arcs of what life really is. And we wanted to push it some more…push it so you think you are watching this young South Asian woman struggle in a treacherous industry that is the art world...It's that and it's also more...The narratives break, meta narratives start to pop up, slippages occur...The characters you see aren’t just scripted but some of them are being played out in “real” life. I exist in many realities in this project - online and in the physical world. Which one of those is the real story or the real person is for you to decide! Maybe all of them are real…Maybe the main narrative is based on real life experience or maybe not...Maybe Meenakshi is real and Em Tee isn’t...Maybe Em Tee is real and Meenakshi stopped existing somewhere along the line....Who knows! One thing is certain. This never ending thirst and consumption of images and everything being produced here is just taking these narratives and images that are out there in contemporary popular culture and regurgitating them - because that’s what the world wants and expects, and will take. So I'm giving it to them. Bollywood hates being called Bollywood! Because they find that a “westernized” term derived from Hollywood. Semantic Wars! Anyways, I have to say that while it’s a Bollywood reference, most of the Western world equates to movies from India. However, there are close to 24 regional film industries. Each state in India has its own language and its own cultural specificities – from rituals of birth, weddings, food to traditional clothing. Naturally, the films, the music, it all varies too. I’m using music and the script of a language from the part of India that I grew up in, Tamil, which is a south Indian language maybe you’ve sung unbeknownst to you, if you’re an MIA fan. The music we sourced for the teaser is all beats from Tamil folk and Tamil movie songs with a bit of MIA thrown in. 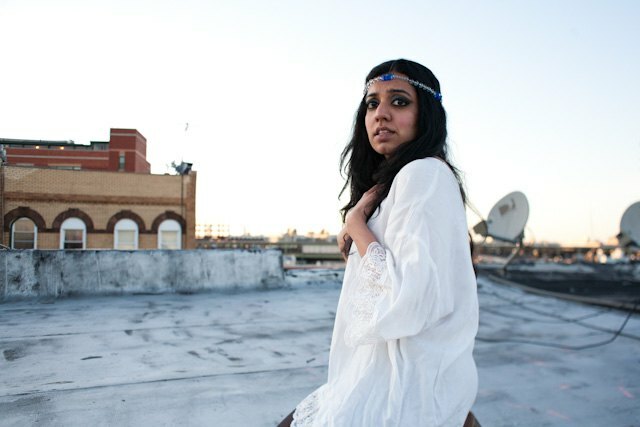 MIA is a big star in the West but essentially she samples a lot of tamil folk. But how many people know what “KUTHU” music is? Tamil movie songs use a lot of it, and I grew up listening to a lot of that music along with songs from “Bollywood” which is essentially the Hindi movie industry – Hindi being India’s national language. Oh and do you know the Tamil movie industry is called Kollywood - YIKES! Can you give us some spicy details of the scene? Spicy details reflect how screwed up perceptions and expectations are...Indian films love light skinned actresses despite majority of India being of a darker skin tone. We are so obsessed with light skin that Indian films cast American and European actresses for roles of South Asian women...We continue to teach generation after generation of young Indian women to idealize and desire that. Straight hair and size zero are the in thing now. The career of an actress ends at 25 but male actors at the age of 60 can still play a hip college student. Yes it’s a misogynistic world. But once your career of a film actress ends at 25, there’s always the world of television soap operas!!! What countries besides India are into Bollywood? Morocco loves Bollywood!!! When I was traveling there everyone would look at me and my family and ask “Indian?” We would nod yes, and their eyes would light up and then they would proceed to name every actor and actress and film they have seen. It happened all the time! What is typical for a Bollywood soap opera? But I have to say that if you watched some of the Bollywood movies from the '70s or even earlier, the kind of arcs in the story – the way the actors emote, it's all very melodramatic and theatric. You might not see this melodrama in everything that comes out of Bollywood these days. What's typical in serials is there is always one central character. I have noticed it's more women-centric; its almost always about daughters-in-law, mothers-in-law and about big joint families where generations of the family live together so there is more possibility for drama. There has to be an evil mother in law or sister in law or step mother, or sometimes all three. Someone is always plotting to do something evil, but good always prevails. Like all telenovelas, there are dramatic pauses, an over-emphasis just to make sure you get the point. You could stop watching a serial in 2008 and get back to watching the 1000th episode in 2010 and still not miss a thing. But as I was sifting through the millions of serials being produced these days in India, I came across this latest bunch of soap operas that blew my mind! One of them is literally adapted from the Twilight movies! It's not overly tacky, actually it's very slick. And yes all the actors and actresses look like they could be in Hollywood – young light skinned, westernized standards of beauty, wearing skinny jeans, texting incessantly about boys and vampires. Alright. 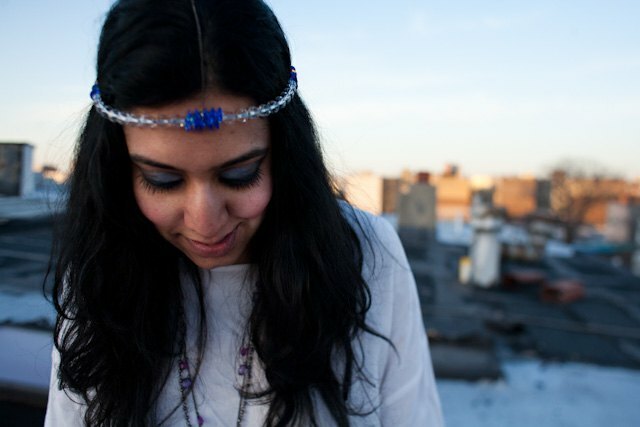 What about the connection between Bollywood and Bushwick? EM TEE! [She's laughing]. You have to admit that she’s the one creating any kind of interest or conversation around the subject, right? Who knows...You might be walking down Morgan one day, and a bunch of people might break out into a dance! Can you explain the concept of Isha: Tell all Tale? You plan to engage several Bushwick artists curators and bloggers, right? Essentially the story is about the journey of a South Asian immigrant woman through the art world and her quest to make it "big". So we see what it is like for her to get to America, get an education, intern and work in auction houses and galleries and find her "voice". We also see the relationships she builds - both professional and personal. It is about being a woman and balancing work and family - the role of wife, mother, daughter and what that is like when there are certain cultural expectations in the mix from family and society. Especially in an industry that's not "typical", stable and still more of a man's world. I'm also interested in addressing the broader perceptions within and outside the art world, like the idea of an "immigrant" or being a "woman of color" or being "brown". I moved to the US when I was 23 and until that point I was never categorized under any of those terminologies. The burden of those signifiers is kind of thrown at you merely because it's just easy, and that's what you "see". Isha: A Tell-All Tale, has a main narrative thread that will be told in the language of soap operas in India. The role of Isha is played by Em Tee, which is an alternative reality some part of me exists in. The idea is to talk about all the politics in a bizzare, absurd way so you are left questioning the veracity of the whole story. Is this REALLY a true story? Did all that really happen? Is that how it works? And yet there would be parts that, hopefully, people can relate to from their own experiences. The main narrative also breaks into Meta Narratives. We see slippage of race and reality with fantasies and performances all tied in. I’m not casting professional actors but those who work or have some kind of connection to the art world. If they happen to be actors, great! The deeper dynamics of their place in, and relationship to the art world, that’s important to me. I'm casting friends, family, colleagues, former bosses maybe…For instance Seema and Sunil who play Isha’s dad and mom, are parents of an artist whose work I admire and is my dear friend, Swati Khurana. The moment where the actors step out of the scripted role and talk about who they are and why they felt they could work in this film is very important for the meta narratives. Furthermore, we wanted to push the story telling beyond just one linear narrative. We will be filming parts of the soap opera in spring at the Salon. We will create/transfer the sets there, so that people can see the actual filming and become part of the narrative. Another part of the gallery will screen the episodes already filmed and edited. So you are a viewer and a participant. The end is left open so that many endings, and therefore many more stories, can be told. 'Spring Break' - Kickstarting Isha: A Tell-All Tale party is taking place on Saturday, April 21, 2012 at 6pm at The Bogart Salon, 56 Bogart, at Morgan L train stop.